I love New York! 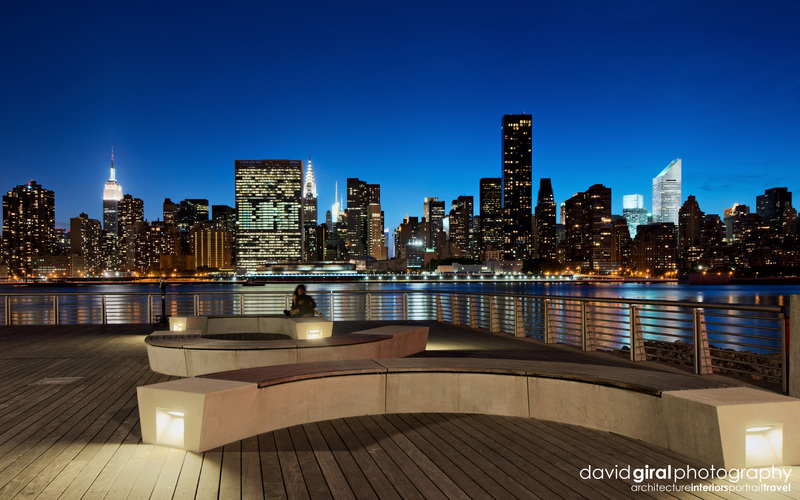 Every trip to this city is filled with excitement and an opportunity to discover new locations to photograph. So what was my excuse for being there this time? Well, rejoicing with some actors friends and attending the NYC Fotoworks portfolio review. As a professional photographer, one of the key element for success is creating a solid network among professionals, editors, art buyers and agents. It was my first time attending this type of event and even though I had spend a lot of time getting my printed portfolios organized, I was a bit anxious to meet with 12 editors and have my portfolio criticized. My purpose was pretty clear, I wanted to get direct feedback from people who would be likely to hire me and see what I could improve. As an artist/business owner, getting quality feedback doesn’t happen very often and when the opportunity presents itself to get feedback from experienced professionals, then one has to seize it and take this as a way to grow into a better photographer. As expected, some meetings went well and some reviewers were less enthusiastic about my work. However, it was a great experience that I will likely to renew in the future. More importantly, it was a great opportunity to meet amazing photographers such as Bonnie Holland, Luke Copping and Corina Marie Howell and see more than a few inspiring portfolios in the process. Now, let’s get back to why we’re here. New York is a wonderful city, one could call it Skyscraper National Park. Photographing NYC skyline has been to done death and finding a unique angle to scenes photographed so many times is always fun. 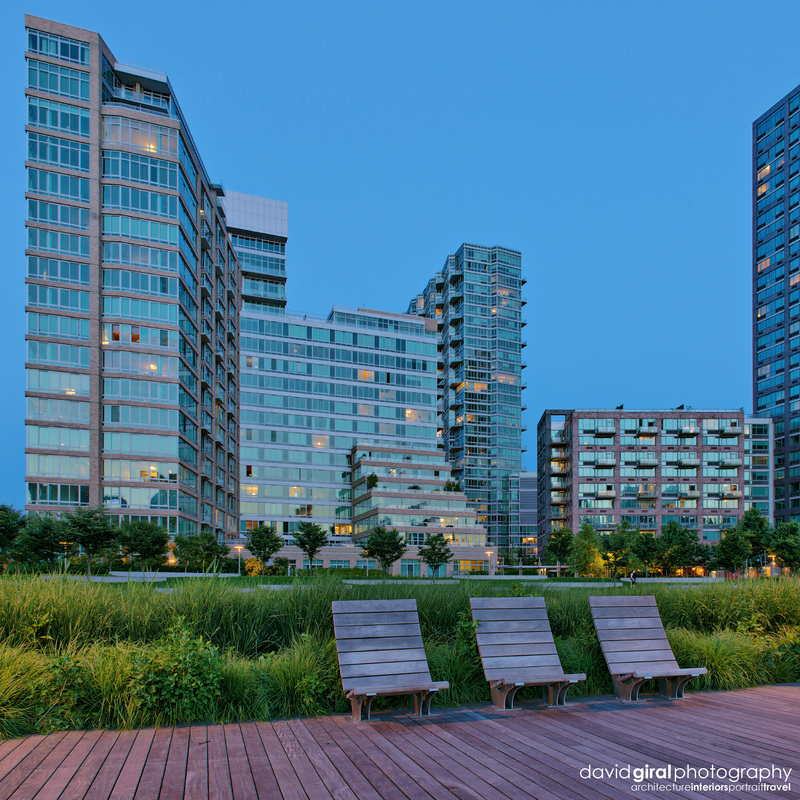 So having scouted the possible locations for a shoot in Queens, I decided to walk to Gantry Plaza State Park. What I also love about New York is the architecture and getting the opportunity to shoot some majestic buildings fills me with excitement. So as I walked into the park, I had to take a picture of the condo buildings overlooking the east river and the NYC midtown skyline. 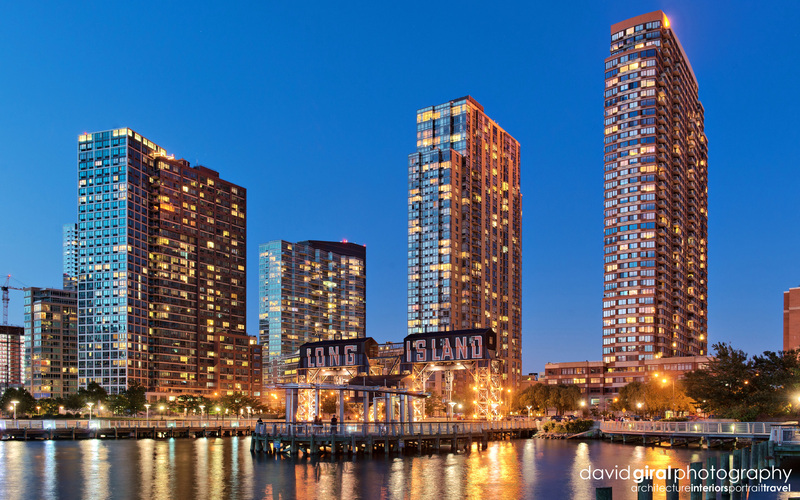 You won’t be surprised to know that these condos are called “the view”. Walking further south, I discovered some stunning piece of architecture, restored “contained apron” transfer bridges (AKA gantries) of the James B. French patent, and built in 1925. 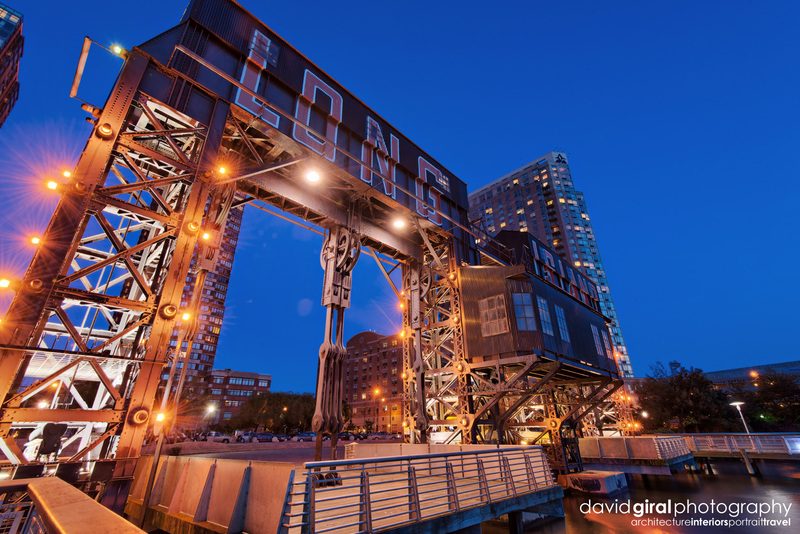 These gantries were used in the past to load and unload rail car floats that served industries on Long Island via the Long Island Rail Road tracks. They are wonderfully preserved and blend in perfectly with the beautiful luxury condos. As you can see, it was a wonderful night and even though it was June, the light was just amazing. Now, I know you’re probably impatient to see the view on Manhattan and the NYC midtown skyline. Ok, so let’s turn the other way around and contemplate the beauty of Skyscraper national park, first through the gantries. Then walking down on one of the quays, I was amazed by this amazing perspective. I love the human element her on the foreground with the couple, it gives some sense of scale and adds an emotional aspect to the whole picture. 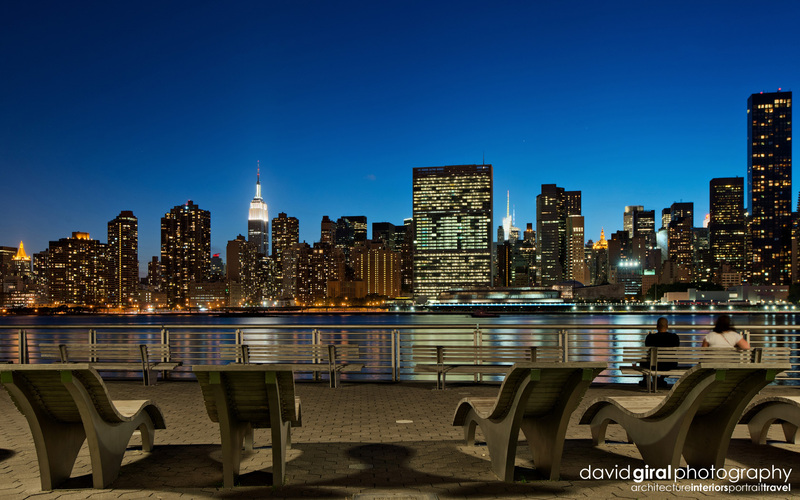 Now, what I look for when I shoot skyline is for an interesting foreground, something to anchor the composition. 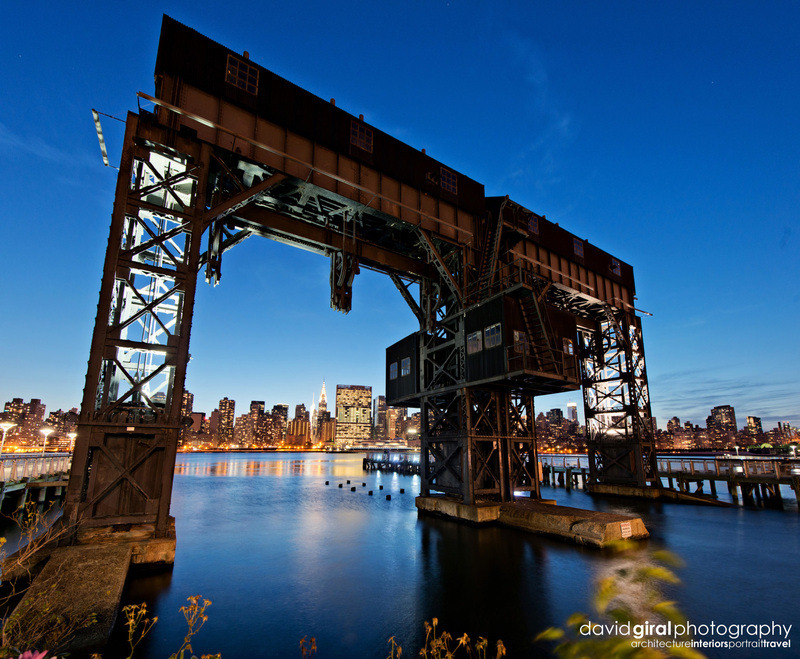 The gantries make for a perfect distraction to what would have been “another NYC skyline shot”. Here is another angle. Here I really love the contrast between the orange/red tones of the foreground and the blue tones of the skyline. It blends perfectly together and the panorama crop here really work imho. When I started photography and landscape, I was always looking to avoid humans in my compositions as I found them distracting, since then I’ve changed my mind. Having people in landscape and travel pictures can add so much to the picture, it engages the viewer as they can very well imagine themselves admiring the same view. 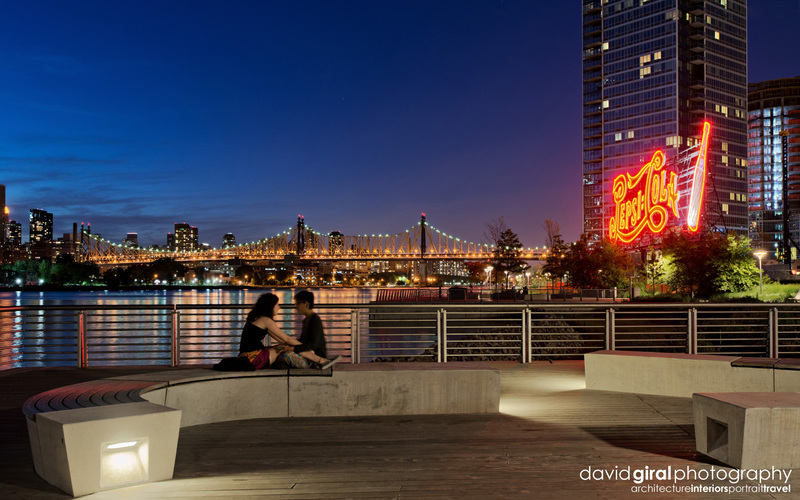 Here is another example of how this couple on the foreground makes this scene of the Queensborough bridge so much more interesting. I love the architectural element in the foreground. Now, I also love this angle as it mixes architecture, landscape and travel photography all at once, there is a subtle balance between the different layers of this image. 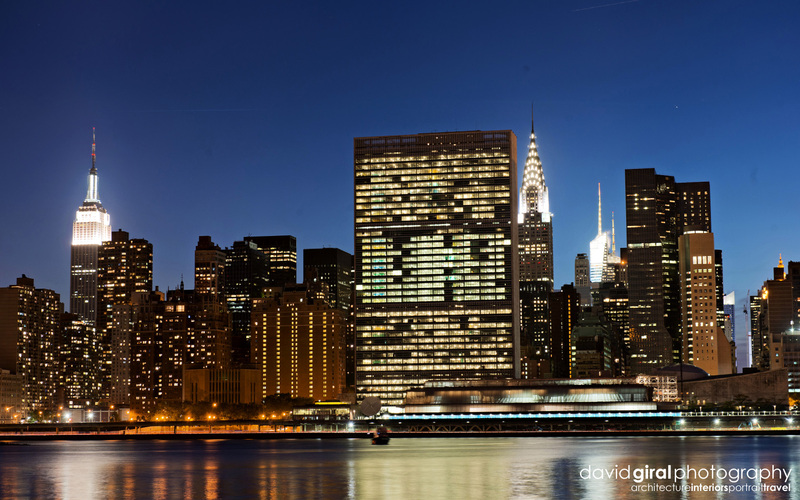 Of course, this simple view of the NYC midtown skyline, Empire State Building and United Nations headquarters is amazing, I would call it a classic. 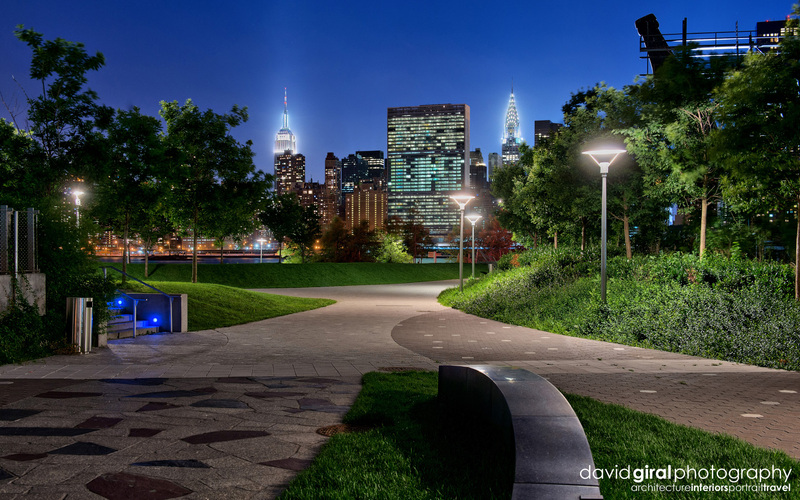 However, I still find this last image of the same scene through the Gantry Plaza State Park to be much more interesting. I absolutely love the blend between the green tones of the park, the blues and oranges throughout the pictures. All pictures presented here are processed through Oloneo PhotoEngine and Photoshop CS6. HDR is first generated in Oloneo PhotoEngine then HDR exposure is blended with one RAW exposure in Photoshop CS6 using masks to create a realistic look and feel to the images. So which of this pictures is your favorite and why? I would love to hear about it! Superbe serie! 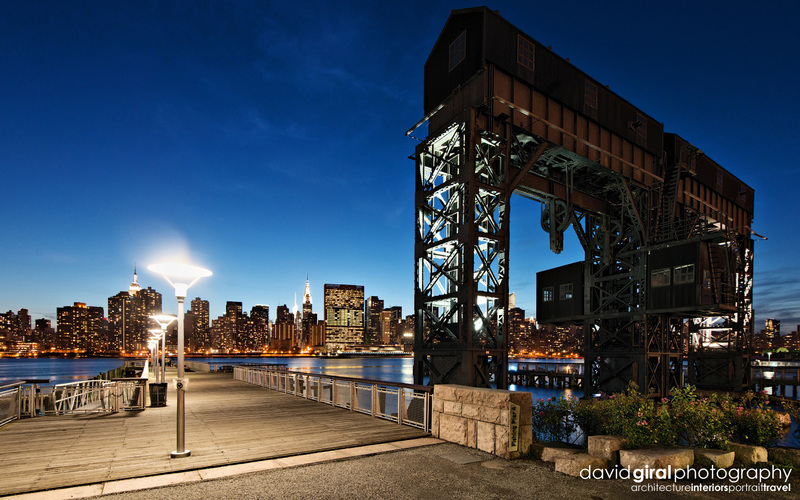 Les photos de Gantry Plaza sont absolument spectaculaires!